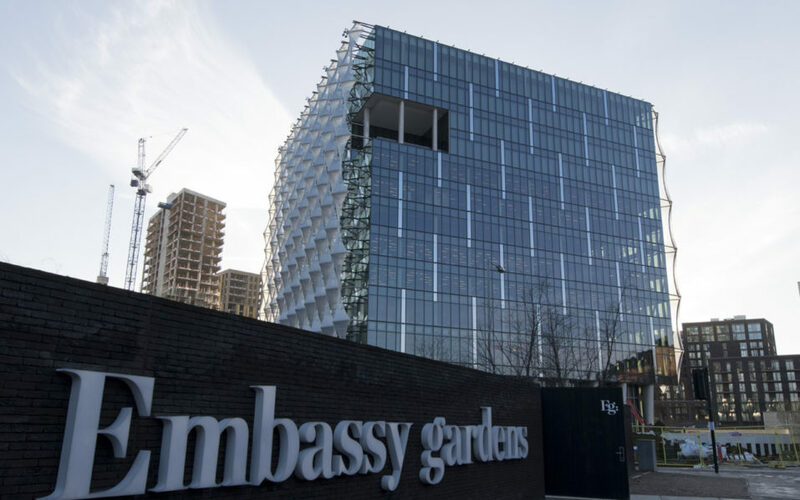 US President Donald Trump announced Friday he will no longer attend the opening of the new US embassy in London, , a move welcomed by critics in Britain who had planned mass protests. He wrote on Twitter that he was abandoning the trip — initially scheduled for next month — because he did not like the location and price tag of the new building. “Reason I canceled my trip to London is that I am not a big fan of the Obama Administration having sold perhaps the best located and finest embassy in London for “peanuts,” only to build a new one in an off location for 1.2 billion dollars,” Trump wrote. Trump has also been offered a state visit to Britain, and Prime Minister Theresa May’s office said Friday that nothing has changed, although no date has been set. There had been strong opposition to the invitation, at first over Trump’s travel ban on Muslim-majority countries, and then most recently his re-tweet of a far-right organisation, Britain First. Stephen Doughty, another Labour MP, tweeted: “Reason @realDonaldTrump cancelled trip to London is that we are not a big fan of his racist, sexist, unthinking behaviour. But leading Brexit campaigner Nigel Farage, who visited Trump following his election, said the decision was “disappointing”. He said that plans for protests by Labour leader Jeremy Corbyn and the Labour mayor of London, Sadiq Khan — who has traded barbs with Trump on Twitter — may have been a factor. “Maybe, just maybe, Sadiq Khan, Jeremy Corbyn and the Labour party planning mass protests, maybe those optics he didn’t like the look of,” he said. The decision to move the embassy from its prestigious location in Mayfair, central London, was taken by the administration of former Republican president George W. Bush in October 2008. The new 12-storey, cube-shaped building, which is due to open to the public on January 16, has been built in a nondescript area south of the River Thames, which is now subject to a major regeneration project. However, relations between the pair have been strained since May became the first foreign leader to visit Trump following his inauguration in January 2017. In November, she said the president was “wrong” to re-tweet anti-Muslim videos posted by Britain First, prompting an extraordinary rebuke from the White House. “Don’t focus on me, focus on the destructive Radical Islamic Terrorism that is taking place within the United Kingdom,” Trump hit back. May stressed afterwards that Britain and the United States have “a long-term special relationship… it is an enduring relationship that is there because its in both our nations’ interests”.